Customers travelled from as far away as Kent to place orders for new touring caravans with experienced sales executive George Harris at the Motorhome and Caravan Show at the NEC, Birmingham. 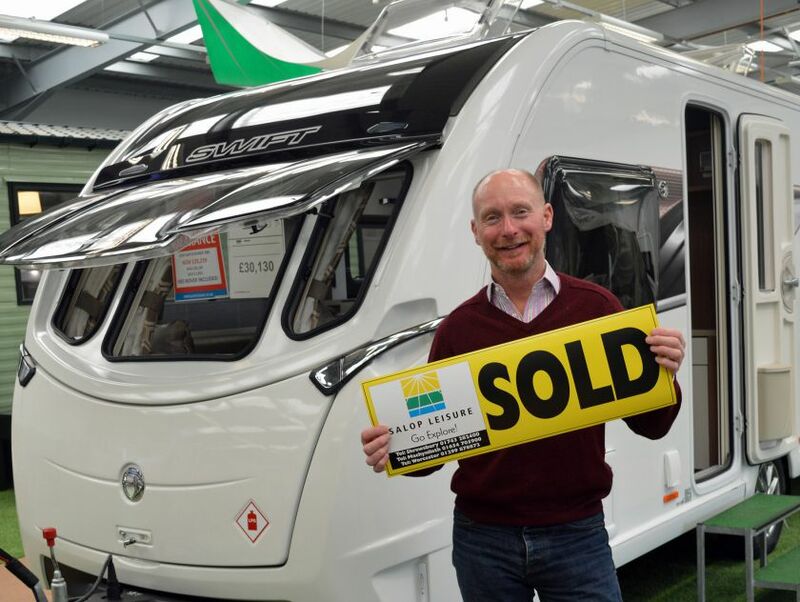 George, who works for award-winning caravan and motorhome dealership Salop Leisure in Shrewsbury, had a very successful show, selling 26 touring caravans worth in excess of £500,000. His work earned him the top sales on the Swift Group stand at the show, where Salop Leisure’s sales team secured record orders worth £1.2 million. “It was a very busy show and I was delighted that the majority of the sales were to returning customers who were very happy with the service they receive from Salop Leisure,” said George. “One customer travelled up from Kent and I sold caravans to first-time buyers and people who had been recommended to me. One of my customers from Knutsford has bought more than 10 caravans from me since 1982."